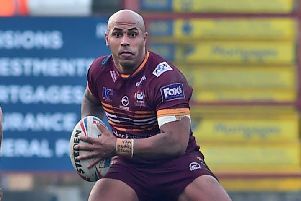 Batley Bulldogs have today announced a ‘substantial’ two-year sponsorship deal with local firm Fox’s Biscuits. Part of the deal will see Batley’s Mount Pleasant ground be renamed Fox’s Biscuits Stadium as the town’s biggest employer and only professional sports team join forces. Fox’s operational support manager Tom Phillips said: “Most of our employers live and have been brought up in Batley and we want to get more involved with the community. “Fox’s Biscuits have helped us, as a club, to be able to get back out into the community which we have not been able to do in recent times. Bulldogs fans can now look forward to the Boxing Day Challenge match against Dewsbury Rams at the newly named Fox’s Biscuits Stadium. For more on this story, see Thursday’s Batley News.